Welcome to another edition of the WNR. Hope you’ve had a pretty good week, and now you’re ready for this pretty poor excuse of an WNR. Yes, once again, the news Gods haven’t smiled upon us this week, but there are still things to talk about. So let’s get started! Will it ever end? The US Congress is considering extending the copyright term again, this time to 144 years. 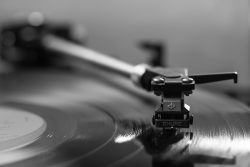 This means that recordings from as old as 1923 won’t fall out of copyright protection until 2067. Worst of all, the extension will be applied across the board automatically, as opposed to requiring rights holders to apply for the extension. This is all and well for recordings for which the current rights holders are still receiving royalties for, but for “orphan works” where the owners have long given up practical ownership of the work, the extension to 2067 will hamper efforts to (legally) preserve and archive these works, and so many may be lost forever. It’s often easy to forget that it is as important for copyright protection to exist as it is for it to expire. Big media and the copyright lobby has placed most of the focus on copyright’s ability to protect the owners from earning royalties, which is important. However, if this was the only goal of copyright, then why did it originally have a component which will see it automatically expire after a set term (usually the life of the creator, plus X number of years). In other words, why should copyright expire and simply not exist indefinitely? The reasons why copyright should expire is also the reason the copyright lobby cites in their argument for the strengthening of copyright – creativity. When works expire into the public domain, these works can then be referenced, remixed, edited freely or otherwise used to create new works. It is the reason why Disney can take classic stories such as Pinocchio and Snow White and create new (copyrighted) works from them without the hassle of buying the rights to these stories. And without anyone owning exclusive rights on something, it is also the reason why studios other than Disney can take the same stories and create their own copyrighted works, such as Universal’s ‘Snow White and the Huntsman’ or Relativity Media’s ‘Mirror Mirror’. It’s also the reason if the original Star Wars trilogy ever falls out of copyright, someone other than Disney/Lucasfilm can take a shot at it. But at this rate, you and I would be long dead before that ever happens, if it ever happens at all. Plus there’s that tricky thing called trademarks, that will prevent anything real from materialising. #Sad. The other reason is much more for works that are less well known than Snow White or Star Wars, and it’s about the preservation of these works for future generations. With automatic copyright extension and orphaned works, any effort to digitize and archive these works may be deemed illegal until their copyright expires, by which time, it may be technically impossible to preserve them. So let’s not be too shortsighted when it comes to copyright, as it’s most than just about money and protecting the interests of a few big corporations. I know I’m a little late this year in publishing our annual Blu-ray: The State of Play report, but rest assured, it’s coming soon. And before that glorious day occurs, I thought I would just share with you a preview of what you might expect. As you might have guessed, things aren’t looking great for physical media. But how not great, I hear you ask. Well, the last State of Play report saw Blu-ray revenue make a small comeback, rising slightly even. At that time, I put that down to the better caliber of releases for 2016 (compared to 2015), as well as the positive effect of Ultra HD Blu-ray. The same factors still applied for 2017, but unfortunately while UHD continued to grow, the caliber of releases was comparatively lacking, and these two factors failed to arrest the decline of physical media sales in general. As a result, Blu-ray revenue fell by more than 6%, and the majority of weeks in 2017 was poorer than the same week in 2016, in terms of sales. 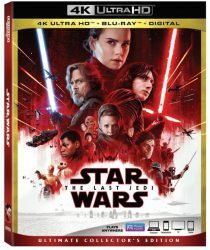 The full report will have lots of other juicy details such as a list of the year’s best selling Blu-ray titles and a closer look at Blu-ray’s market share. Look out for the full report here in the coming days (although with my track record, it will be more likely weeks/months). Looks like we’ve reached the end of another WNR. See you next week! Welcome back from a “much longer than I thought it would be” hiatus. A combination of travelling, getting sick from travelling and then lack of news meant that the WNR had to be postponed. Until now! So we finally do have news this week, not too much, but enough to get the old keyboard out and write up a WNR. There’s been a bit of an unwanted copyright spotlight on Roku, with the company facing legal action in Mexico. 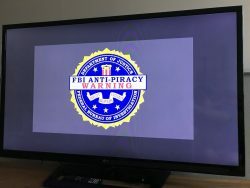 This is probably why Roku has decided to take a more proactive strategy towards anti-piracy enforcement, and they have started to remove channels that aren’t solidly in the legitimate camp in terms of content. 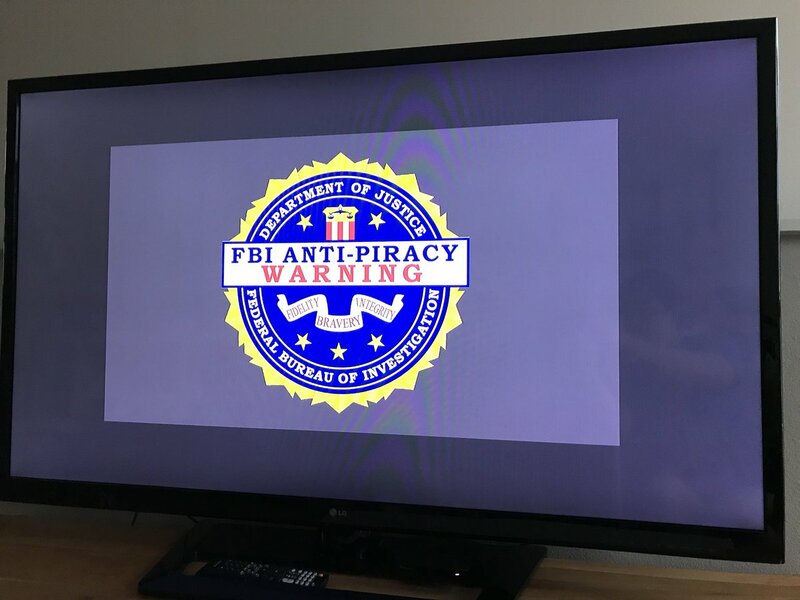 This strategy appears to have caused some friendly fire last week, when Roku decided that both YouTube and Netflix were no longer on the right side of the (copyright) law, and blocked both channels with their now infamous “FBI warning screen” (where they explain why the channel was removed). Facing a customer backlash, Roku quickly took to Twitter to explain the whole thing had been a mistake, and that the channels may have been inadvertently blocked during one of Roku’s anti-piracy actions (when they were trying to block another channel). With the creative industry taking aim at all streaming related activity, I guess it’s only wise on Roku’s part to take proactive action. Just not so proactive that they start blocking the likes of Netflix and YouTube, obviously. The latest DEG report on the state of the (US) home entertainment industry is out for Q1 2018, and it pretty much reads as you would expect it to read. Almost everything digital is doing great, particularly streaming, and that’s more than making up for losses in physical media sales and all kinds of rentals. Of particular interest to loyal readers of this feature will be the near 29% increase in revenue for subscription streaming compared to Q1 2017, shows that there seems to be still room to grow for the streaming business. 4K Ultra HD sales are booming as well, with sales up 130% and now accounting for 12% of all Blu-ray sales. And 35 million households now have at least one 4K TV set. So it seems that the home entertainment industry is moving towards digital, streaming and 4K and a rather rapid pace, and it seems this time at least, they are ready to take advantage (with a little bit of help from Netflix, Amazon, Apple and other tech companies). Short and sweet one this week. No idea if the next week is going to be better, or worse, or absolutely amazing. Hoping for the latter then!